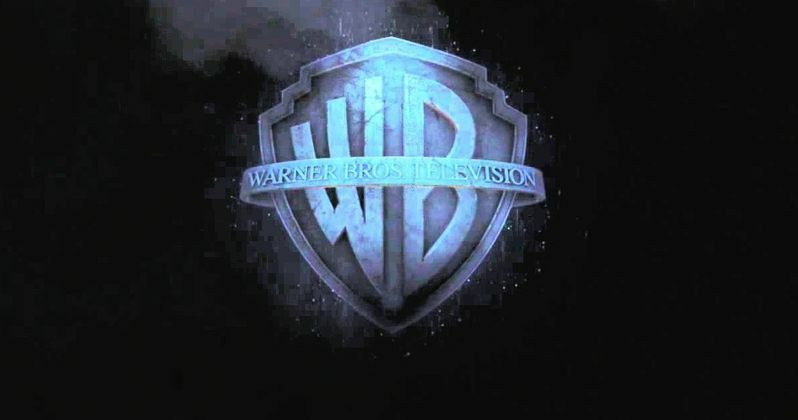 During last night's DC Night of Entertainment panel at Comic-Con 2014, Warner Bros. Television and DC Entertainment presented new animated logos for the companies that will be attached to upcoming shows Gotham, The Flash, Constantine and the new season of Arrow, which incorporates different elements of the show into each distinct logo. Check out the logos below along with more information for each show. Before there was Batman, there was Gotham. The origin story of some of DC Comics greatest Super-Villains and vigilantes, this one hour drama follows Detective Jim Gordon's rise to power in a dangerously corrupt city that would spawn iconic characters such as The Penguin, Catwoman, The Riddler and a young Bruce Wayne. Airing Mondays at 8/7c this fall on Fox, Gotham stars Ben McKenzie, Southland), Donal Logue (Vikings), Sean Pertwee (Elementary), Robin Lord Taylor (The Walking Dead, Erin Richards (Being Human), David Mazouz (Touch), Camren Bicondova, Zabryna Guevara (Burn Notice), Cory Michael Smith (Camp X-Ray), Victoria Cartagena (The Good Wife), Andrew Stewart-Jones (Person of Interest) and Jada Pinkett Smith (The Matrix films). Bruno Heller (The Mentalist, Rome) wrote the Gotham pilot, which was directed by Danny Cannon (Nikita). Heller, Cannon and John Stephens (Gossip Girl). From Warner Bros. Television, Gotham premieres this fall, Mondays at 8/7c on FOX. From the Arrow creative team of executive producers Greg Berlanti and Andrew Kreisberg and director David Nutter, The Flash is a fast-paced superhero drama that follows the high-speed adventures of the Fastest Man Alive. Written by Berlanti, Kreisberg and DC Entertainment's chief creative officer Geoff Johns, the action drama follows Central City police scientist Barry Allen, an everyday guy with the heart of a hero and the genuine desire to help others. Standing still emotionally since the day his mother was murdered (and his father unjustly jailed for the crime), Barry was taken in as a child by the investigating Detective West and raised in a cop's home alongside West's super-smart daughter (and Barry's dream girl), Iris. But when an unexpected and devastating accident at the S.T.A.R. Labs Particle Accelerator facility strikes Barry, he finds himself suddenly charged with the incredible power to move at super speeds. While Barry has always been a hero in his soul, his newfound powers have finally given him the ability to act like one. With a winning personality and a smile on his face, Barry Allen-aka The Flash-is finally moving forward in life...very, very fast! The series stars GGrant Gustin (Glee, Arrow), Candice Patton (The Game), Rick Cosnett (The Vampire Diaries), Danielle Panabaker (Friday the 13th), Carlos Valdes, with Tom Cavanagh (Ed, Scrubs) and Jesse L. Martin (Law & Order). From Bonanza Productions Inc. in association with Berlanti Productions and Warner Bros. Television, The Flash premieres this fall on Tuesdays at 8/7c on The CW. John Constantine is a man waging war against the forces of darkness -from both within himself and the outside world. An irreverent, working-class con man and occult expert, he's an experienced exorcist and demonologist with an extensive list of supernatural contacts, each with their own paranormal talents and abilities. Following the aftermath of a tragic incident, Constantine has voluntarily checked himself into an asylum and sworn off investigating matters of the supernatural, but when a cryptic message calls him out to reluctantly resume his old life, he finds himself saving the life of a young woman whom he's never met but is connected to in a very important way. With dark forces gathering power in the world, Constantine allies himself with Manny, a rogue warrior angel, and his giant childhood protector, Chas-the only friend who's managed to stay alive. Based on characters published by DC Entertainment, Constantine reflects the lore of the fan-favorite comic, combining noirish storytelling with the evolving mythology of John Constantine, a morally challenged character who doesn't come down on the side of either good or evil...but ultimately might be the only thing defending us against the dark forces from beyond. The series stars Matt Ryan (Criminal Minds: Suspect Behavior), Harold Perrineau (Lost), and Charles Halford (True Detective) and is executive produced by Daniel Cerone (Dexter) and David S. Goyer (The Dark Knight trilogy). From Bonanza Productions Inc. in association with Warner Bros. Television, Constantine will air Fridays at 10/9c on NBC, premiering October 24. After being gone for five years, during which time he suffered unimaginable ordeals, billionaire Oliver Queen returned home to Starling City with a mysterious agenda and a new set of skills that he uses in a war on crime in this hard-hitting action series. Returning for its third season October 8, Arrow airs Wednesdays at 8/7c on The CW. Starring Stephen Amell, Katie Cassidy, David Ramsey, Willa Holland, Emily Bett Rickards, Colton Haynes, with John Barrowman and Paul Blackthorne, Arrow was developed and is executive produced by Greg Berlanti, Marc Guggenheim and Andrew Kreisberg. Based upon the characters from DC Comics, Arrow is produced by Bonanza Productions Inc. in association with Berlanti Productions and Warner Bros. Television.